HB 21 - Marshall, R.G. - School boards; employee firearms training. HB 66 - Ramadan - School resource officers; local school board to place officer in each public school. HB 152 - Minchew - State Police, Department of; variable housing allowance. HB 173 - Farrell - Electronic devices; search without warrant prohibited. HB 178 - Farrell - Virginia Retirement System; assumed rate of return on investments for employer contributions. HB 181 - Farrell - Virginia Retirement System; collection of overpayments to retirees and beneficiaries. HB 182 - Farrell - Local employees; retirement benefits. HB 220 - Albo - Driving while intoxicated; refusal of blood or breath tests. HB 256 - Lingamfelter - State Police, Department of; variable housing allowance. HB 306 - Lingamfelter - Deputy sheriffs; eligibility for enhanced retirement benefits. HB 327 - Surovell - Law-Enforcement Officers Procedural Guarantee Act; definition of law-enforcement officer. HB 439 - LeMunyon - Fraud and Abuse Whistle Blower Protection Act; applicability to Virginia citizens. HB 496 - Yost - Assault and battery; of campus police, penalty. HB 514 - Morris - Virginia Retirement System and local government retirement systems; investments. HB 587 - Yost - College campus police and security departments; DCJS to identify minimum core operational functions. HB 728 - Lingamfelter - Fraud and Abuse Whistle Blower Protection Act; discriminatory and retaliatory action. HB 739 - Lingamfelter - Virginia Fraud Against Taxpayers & Fraud and Abuse Whistle Blower Protection Acts; remedies, etc. HB 821 - Lopez - Workers' compensation; correctional officers, presumption of compensability for certain diseases. HB 827 - Minchew - Emergency custody orders; temporary firearms restriction orders. HB 931 - Greason - State Police, Department of; appointment of supervisory officers. HB 983 - Cline - Virginia Retirement System; retirement credits for special forest wardens. HB 987 - Cline - Department of State Police; appointment of supervisory officers. HB 1148 - Morefield - Reckless driving; causing death or injury of certain persons, Class 6 felony. HB 1174 - Comstock - Auxiliary police officers; firearms training standard. HB 1230 - Sickles - Line of Duty Act; funding and review. HB 1237 - Gilbert - Hunting; wild animals and wild birds on private property and state waters on Sunday. HB 1250 - Ramadan - Hunting; in certain counties allowed on Sundays. HJ 31 - Tyler - Corrections, Department of; JLARC to study staffing levels and employment conditions. HJ 103 - Jones - Virginia's Line of Duty Act; Joint Legislative Audit and Review Commission to study. HR 67 - Toscano - Public interactions; Virginia ABC to observe agency policies and protect constitutional rights. SB 87 - Watkins - VRS; technical amendments to programs administered by System. SB 89 - Newman - Virginia Retirement System; disability program for hybrid retirement plan participants. SB 154 - Puckett - Hunting; allowed on Sundays under certain circumstances. SB 188 - McDougle - State and local employees; deferred compensation plans. SB 192 - McDougle - Department of Game and Inland Fisheries; appointment of certain sworn law-enforcement positions. SB 206 - Carrico - Department of State Police; appointment of supervisory officers. SB 254 - McDougle - Law-enforcement officers; exceptions to territorial limits. 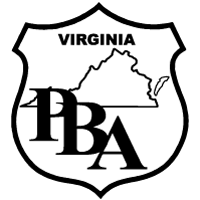 SB 256 - Deeds - Virginia Law Officers' Retirement System; conservation officers members of System. SB 326 - Deeds - Virginia Fraud Against Taxpayers & Fraud and Abuse Whistle Blower Protection Acts; remedies, etc. SB 385 - Reeves - Virginia Retirement System and local government retirement systems; investments. SB 420 - Hanger - Virginia Retirement System; impact statements. SB 452 - Howell - License plate reader database; Department of State Police to maintain database. SB 493 - Puckett - Line of Duty Act; funding and review. SB 527 - Carrico - State Police, Department of; appointment of supervisory officers. SB 570 - Stuart - Campus police and school security officers; assault and battery, penalty.